A healthy snack should be both satisfying and filling and not lure you into over consumption. If you've ever sat in front of a bag of corn tortilla chips and salsa, you may know the feeling of fullness from over-snacking. We picked eight gluten free snacks from the Treatmo Marketplace -- convenience shopping in a tap -- that lift mood and energy and kill hunger pangs between meals. 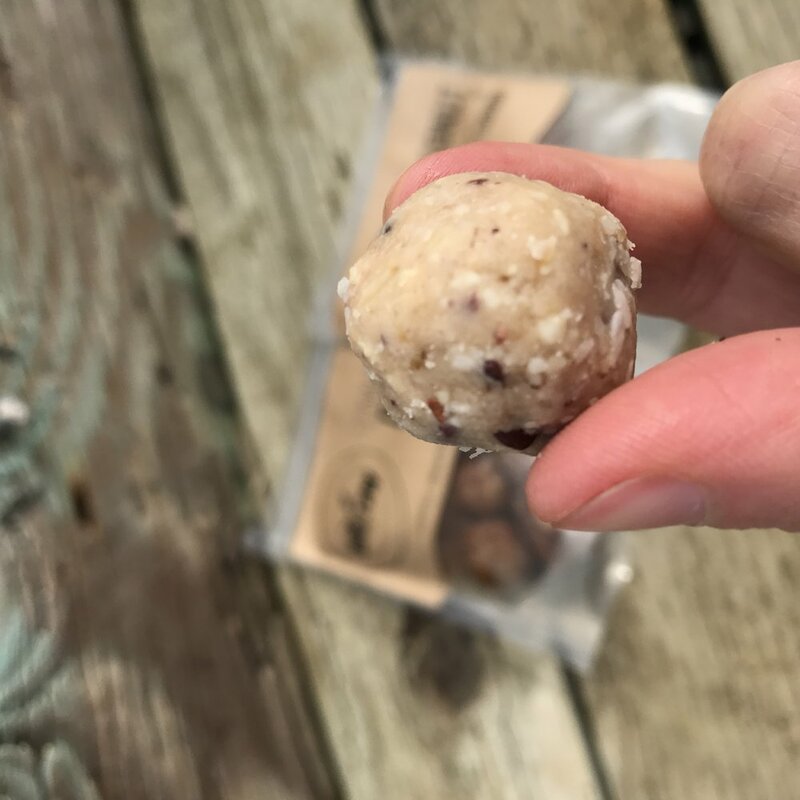 These bites are completely raw, organic and made with superfoods like cacao, coconut and cashew. They are also refined sugar free which helps eliminate a sugar spike and crash you get from refined sugar treats. Shop on the go on Treatmo. Coconut is our favorite! These taste incredible and with 15 grams of protein along with fiber, these tasty, crunchy chips are a great snack pre- or post-workout. They are 100% plant based, not oily, and super crisp and live. Dive in and shop in bulk on Treatmo. We love pistachios and these California grown pistachios are so fresh and flavorful. The added bonus is they are dipped in chocolate or yogurt and come in other fun-filled flavors. Made by a local family business, they are a mood lift and the added probiotics don't hurt. Buy in bulk on Treatmo. Already huge fans of almost any cookie, the team loves these soft, nutrient dense gluten free, paleo, vegan cookies from PRO+. 12 grams of protein keeps you running. Available in bulk on Treatmo. This on-the-nose vegan 'Snickerz' really deserves an award. It's truly a dazzling accomplishment by this small, Brooklyn chocolate maker. Fully vegan and stoneground, keep it chilled for best results. But do not miss out. Let us know what you think in the comments! Sells in packs of two on Treatmo. We haven't found a bar that we really love, until now. KUTOA chewy and all natural, refined sugar free energy bars have protein, fiber and other vitamins from natural fruit, nuts and chia to nourish replenish. Plus, a coffee jolt from a bar is all we needed to conquer that afternoon slump. Shop in bulk on Treatmo. They truly mean it when they say "The Un-Potato Chip." Natural Sins chips in mango, beet, pineapple and coconut, are shaved into thin, ultra-light slices. They make you feel like you're eating more than you are which is a good trick to fill up faster. Shop in bulk on Treatmo. We never really snacked on chickpeas at the office until learning about PULSE from the Treatmo Marketplace. A small maker out of the Bronx, New York, their chickpeas are hand roasted and "always baked" not fried. Crunchy and filling with protein and fiber, chickpeas are incredibly yummy and satisfying. Shop on Treatmo. Go maker direct on Treatmo. Shop fresh, natural and organic food directly from small businesses across the U.S. conveniently and easily. Download Treatmo iOS app to crush that snack attack any time of the day. Download the app to discover a community of local natural food makers and innovators across the U.S. making better for you food.